Wolverine DuraShocksÃ?Â® polyurethane outsole and comfort system. Removable full-cushion dual-density polymer footbed. Full-grain leather upper. Leather and CambrelleÃ?Â® lined. Direct-attach construction. 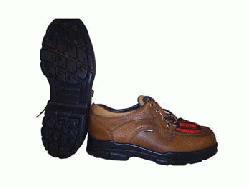 Steel-Toe rating: ANSI Z 41PT91 I/75 C/75.